Beach Garden Hotel , Hua Hin / Cha-am is thoroughly dedicated to provide holiday makers with a superb selection of distinguished accommodations, outstanding cuisine and graceful services in a relaxing environment. The hotel lies less than 200 kilometers south of Bangkok in a charming peaceful and unspoiled white sandy beach, surrounded by lush tropical garden, overlooking the deep blue sea and a mountain view at the back. The Cha-am area is a memorable and romantic town blessed with natural beauty and historical sites. 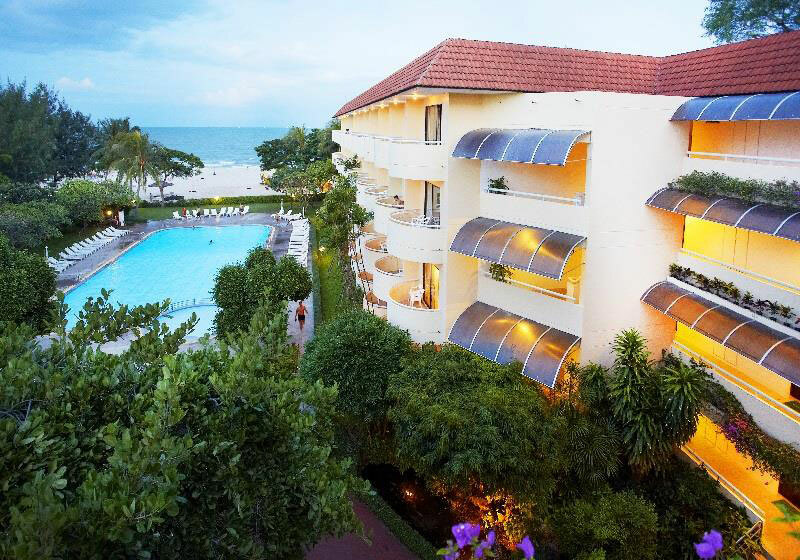 Short Description: Beach Garden Hotel , Hua Hin / Cha-am is thoroughly dedicated to provide holiday makers with a superb selection of distinguished accommodations, outstanding cuisine and graceful services in a relaxing environment.